Although the process of deinstitutionalisation (DI) has started in Croatia in 2006, the transition from institutional to family- and community- based forms of care shows slow signs of progress. This is mainly due to a lack of commitment from the State, a lack of know-how in the area of community-based social services by the state providers, prejudices against foster care and inefficient use of EU funding to support DI reforms. In December 2018, a new Operational Plan for deinstitutionalisation for the period of 2018-2020 was released by the Ministry of Demography, Family, Youth and Social Policy. The 2018-2020 Action Plan will follow 2011-2016(2018) Master Plan on Deinstitutionalisation to continue the process of transformation, expanding the transition to new user groups to ensure regional equity, accessibility of services and social inclusion. Despite the renewed commitment of the government towards deinstitutionalisation reform, there are concerns about the use of EU funds allocated for DI reform, as well as their efficient oversight. According to the 2017 Report of the Children’s Ombudsman in Croatia1, poverty is the main factor that separates children from their families. Evidence in the report also shows that the number of children in institutions has increased, that children under the age of seven are still being institutionalised, and that there is insufficient number of foster families and community-based services available, especially in the rural areas. In 2017, there were 818 children living in homes for children without parental care in comparison to 796 children in 2016. It is of worry that the number of children between 0-7 years of age in institutional care had also increased, despite moratorium on their institutionalisation2. In 2016 their number totalled 189 children, compared with 231 children in 20173. There were 268 children with disabilities living in institutions for children and people with disabilities in 2017 compared to 340 children in 20164. The majority of children (63%) have multiple disabilities, with more than half of them having a low social and economic status. The average duration of placement for these children lasts four years. 30% of children are placed in the institutions situated further than 150 kilometres away from home and 40% of children live in the institutions more than 100 km away from home. There are 356 children with emotional and behavioural disorders living in 10 homes for children with behavioural problems and 2 reformatories. These homes are based in local communities and children follow mainstream education. The recently adopted 2018-2020 Plan on Deinstitutionalisation states that the goal of a 40% reduction in placements for children and youth with behavioural problems, set in the 2011-2016 (2018) Master Plan for DI, has not been reached. As of December 2018, the number of children and young people with behavioural problems living in institutions have decreased by 16.5%5. Due to delays with the Family Law which regulates the adoption procedures, national adoption of children in Croatia has significantly declined. Out of 500 children who have been put up for adoption in 2017, only 78 children were adopted nationally. At the same time, only 1 child was adopted from the largest home for children without adequate parental care when the annual average number of adoptions for this institution is 30 children6. Family-type homes and organised housing are two forms of quality community-based care provided to children deprived of parental care and children with disabilities in Croatia. The Law on Social Welfare defines a family home as a service for 4 to 10 children who live with the family of a service provider. In reality, family home is a foster care setting for a larger number of children with obligatory employment of the professional caregiver. Between 2014 and 2015, 90 family homes were established to accommodate the needs of children without parental care. This number halved to 45 homes in 20177. During the same period, 17 organised housing facilities were set up for adolescents and young people transitioning to independent living. Although foster care placements have increased in Croatia, there is still insufficient number of foster families across the country. Support services for foster families are rare or non-existent in some areas. This can be problematic because, first of all, children and especially those under the age of 3 are still getting institutionalised instead of being placed into family-based care; secondly, children do not always have adequate protection when placed in foster care. 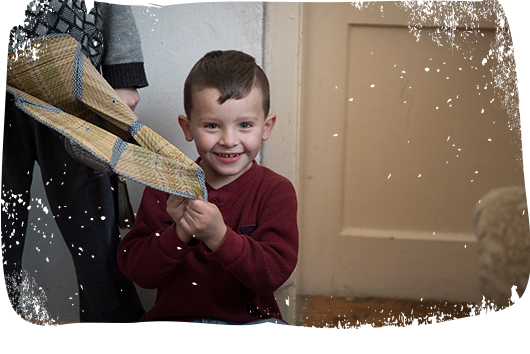 The new campaign “Every child needs a family” led by UNICEF in collaboration with Croatian government and the Forum for Quality Foster Care aims to increase the number of caring foster families for children without parental care. It has a particular focus on foster care provision for children at an early age8. When it comes to unaccompanied and separated migrant children, those who are younger than 14 years old are placed in homes for children without adequate parental care. Children between 14-16 years of age are placed in homes for children with emotional and behavioural disorders, and those above 16 years of age are placed in reception centres together with adults. Civil society in Croatia is particularly concerned regarding this unequal treatment of children that has resulted in 9. To address this issue, a letter of complaint was sent to the Ministry of Demography, Family, Youth and Social Policy. The deinstitutionalisation process in Croatia is mainly financed from EU funds, such as the European Social Fund and the European Regional Development Fund, the national budget, local authorities budget, private foundations’ donations, and the World Bank. This funding is allocated for the improvement of social welfare centres; the improvement of infrastructure for community-based services for adults and children with disabilities; the improvement of infrastructure for community-based services for children and youth without adequate parental care; the transformation of homes for adults and children with disabilities; the transformation of homes for children and youth without adequate parental care. Civil society is concerned about the efficiency of EU funding, as there are delays in using the EU funds for deinstitutionalisation reforms. 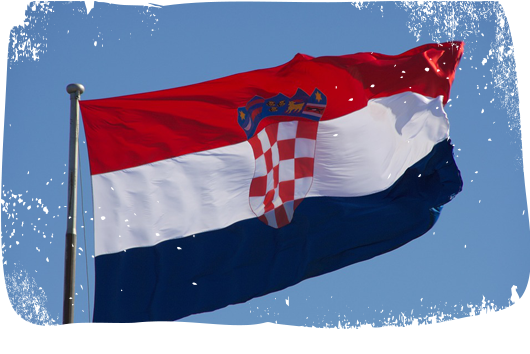 In addition, although the Croatian government simplified application procedures for EU funding last year, the documentation for European Social Fund projects remains complicated and not in line with the GDPR.